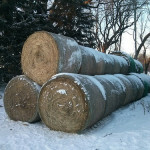 It seems like winter is still a long ways off, but it’s never too early to start putting some hay up for next year. 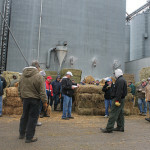 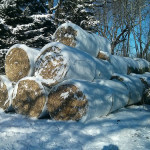 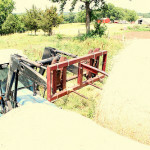 We just hauled in the first round bales of the year, 9 bales of alfalfa and 14 bales of oat hay. 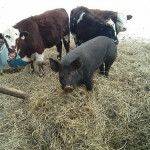 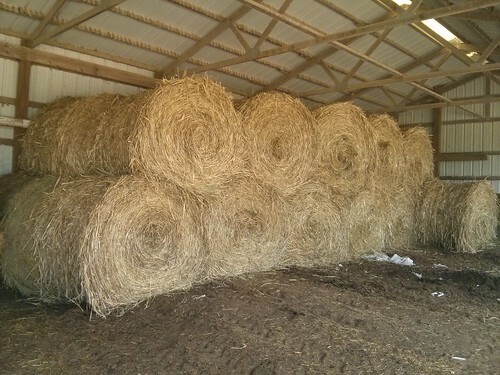 Last year we used 100 round bales of hay to feed the cows through the winter, which means that we’ve got just a tick under 25% of the hay we’ll need for this winter.